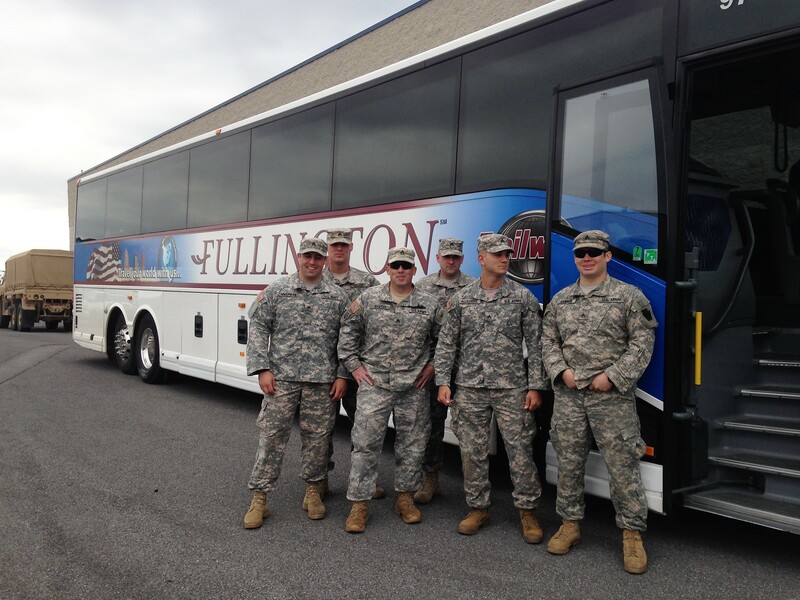 Fullington Trailways is very proud to transport our United States military. The Military Bus Program ensures that commercial bus companies offering charter service provide safe vehicles that consistently meet DoD standards of service. Over 400 carriers participate in the program, offering ground transportation to individual and group DoD passengers, including military movement solicitations and recruit travel. DTMO manages the program through an agreement with carriers that establishes the specific terms, conditions and standards that must be met when providing transportation for DoD passengers. Transportation Coordinators and individuals arranging DoD-sponsored passenger travel must use the DoD approved carrier list to arrange for transportation within their routing authority. To be considered for the program, carriers must have one year of passenger transportation experience and successfully pass a pre-qualification safety inspection. Participating carriers must also undergo rigorous onsite safety inspections that include facility, terminal, and equipment every two years per the Passenger Safety Inspection Program. Carriers will be subject to unscheduled safety inspections to monitor continued compliance.